The case, in stainless steel, measures 42mm x 13.4mm. It has double AR-coated sapphire crystals and it is water resistant to 100 meters. Hand-engraved caseback. 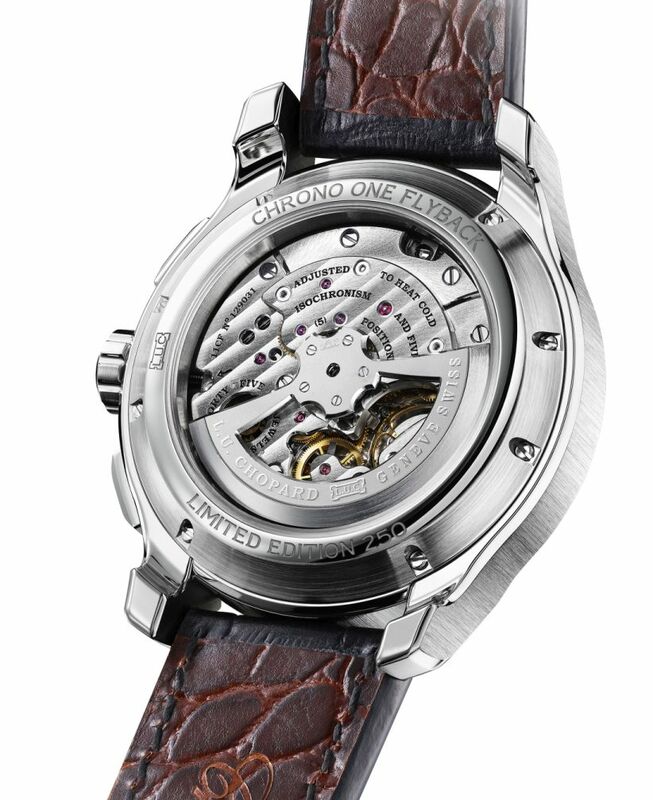 Movement is the Swiss automatic Chopard in-house caliber L.U.C 03.03-L with 45 jewels, 28,800 vph and a power reserve of 60 hours. Flyback function. Balance-spring with flat terminal curve. Bridges adorned with Côtes de Genève motif. 22kt gold openworked rotor. It is COSC-certified as a chronometer. Functions are: hours, minutes, small seconds at 6 o'clock. Central chronograph seconds hand. 30-minute counter at 3 o'clock. 12-hour counter at 9 o'clock. Date window between 4 and 5 o'clock. It has a slate-grey dial, hand-crafted vertical satin-brushed finish. 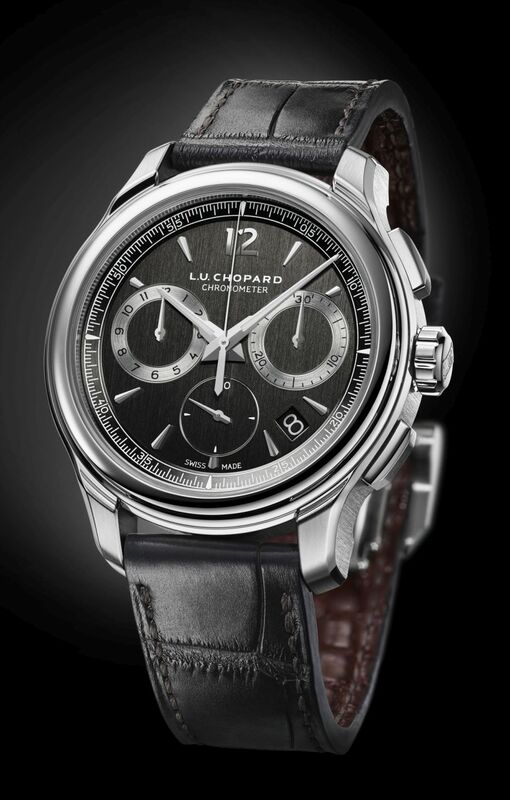 Rhodium-plated hour-markers and 12 o'clock numeral. 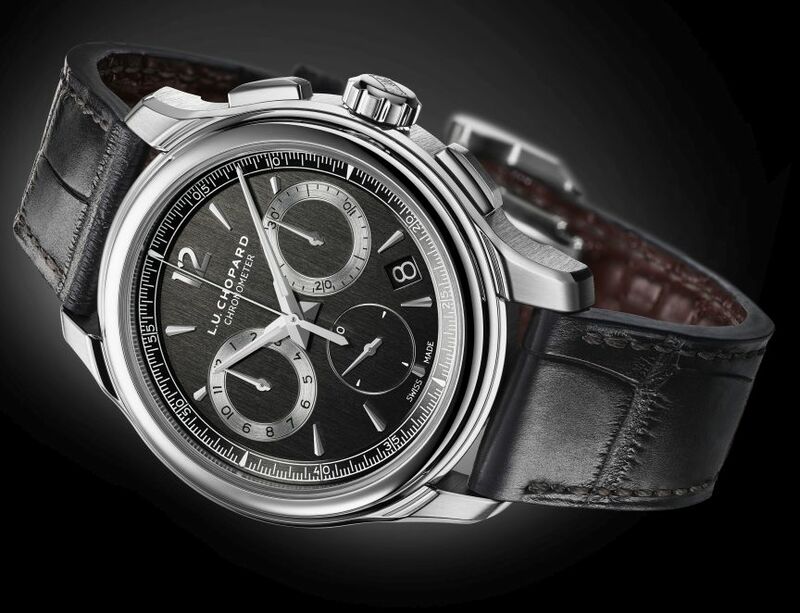 Rhodium-plated chronograph counters. Dauphine fusée-type hours and minutes hands, rhodium-plated and painted with SuperLuminova. Rhodium-plated baton-type small seconds and chronograph counter hands. It comes on a slate grey alligator leather strap with brown alligator leather lining and a steel folding clasp. Not quite the watch I would like to wear, but it certainly has character. What I don't really like is the direction of the date, I would like it turned 90 degrees to the right, so I see it properly when wearing it at the left wrist.